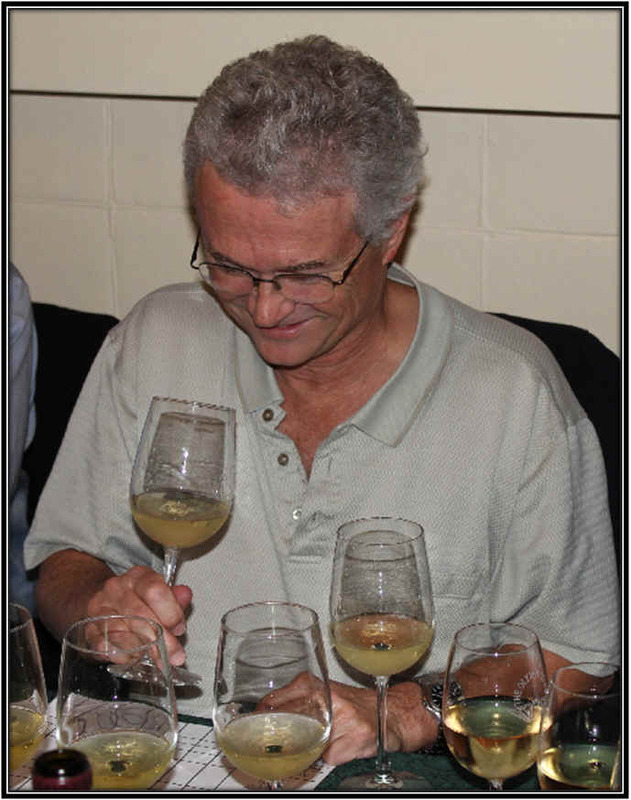 Tasting host David Greiner wanted to survey a somewhat unheralded class of wines, so we assembled a set of Chenin Blanc wines, mostly from France's Loire Valley where this grape produces some of its finest wines. 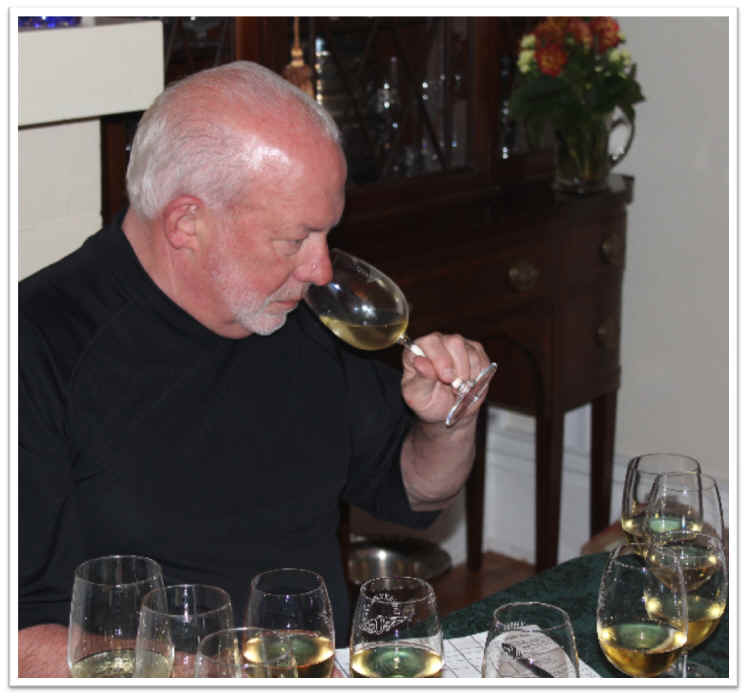 When the Vino Fino wine tasting group was founded, Chenin Blanc was in its heyday in California. In the early to mid-1970s, some California wineries demanded stores and restaurants buy wines such as Cabernet Sauvignon and Zinfandel if they wanted to be 'rewarded' with Chenin Blanc! 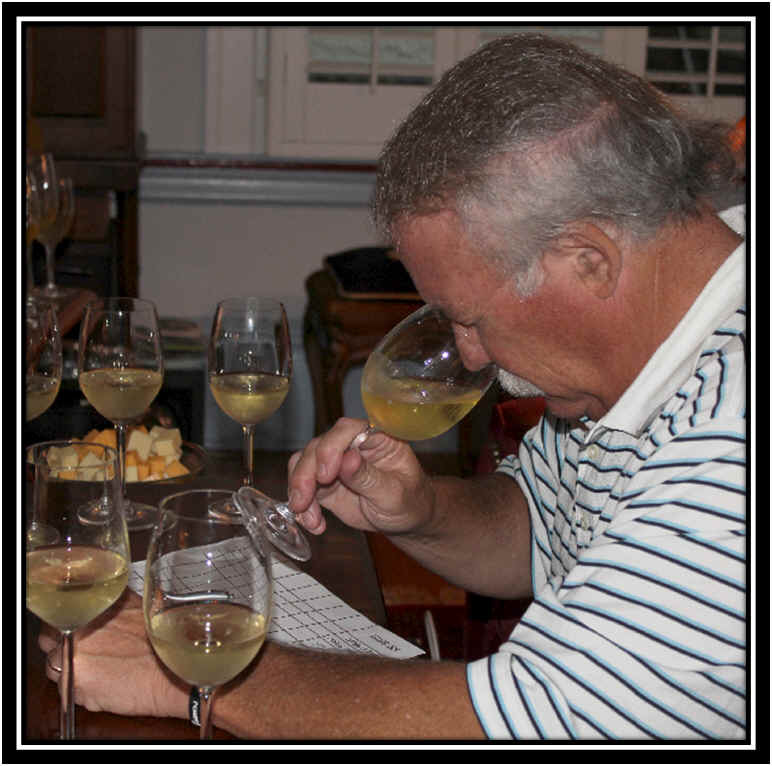 Eventually demand for Chenin Blanc diminished and today this variety has dwindled in production here in California. There are some 90,000 acres of Chardonnay and close to a mere 7,300 of Chenin Blanc planted in the Golden State. On the other hand, it's thriving on its home turf in France's Loire Valley. The wines of the Vouvray appellation are doing well and neighboring Montlouis has a couple of vintners who are challenging their colleagues on the north side of the river for quality supremacy. In addition to Montlouis and Vouvray, there's another Loire Valley area which makes some remarkable wines of Chenin Blanc: near the city of Angers you'll find the appellations of Savenni�res, Bonnezeaux, Quarts-du-Chaume, Coteaux du Layon and Anjou. Chenin Blanc had been a major workhorse variety in South Africa, as well. There it had been known as "Steen," but these days most vintners producing quality wine label them as Chenin Blanc. We assembled a set of 7 Loire Valley bottlings and one from South Africa. The wines of Francois Chidaine have become well-respected over the past decade and his home base is Montlouis. 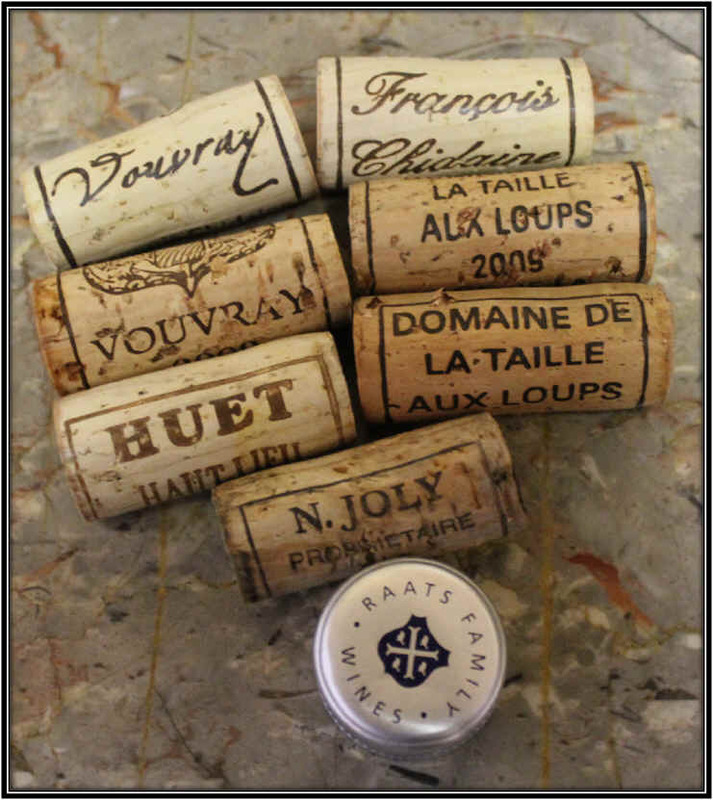 Domaine Huet is viewed by many experts as a benchmark estate in Vouvray. The Taille aux Loups estate is also amongst, these days, the elite practitioners of the art of Chenin Blanc. 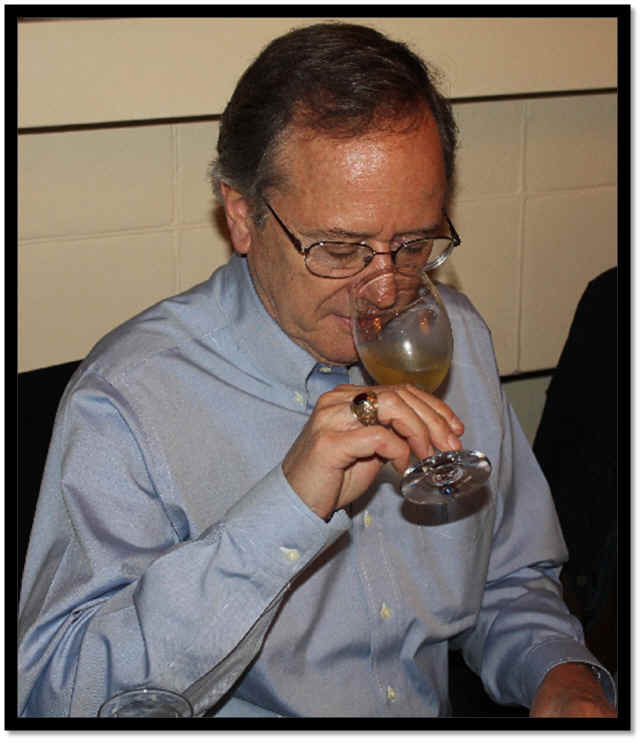 Also in the line-up was a bottle from the famous Savenni�res vintner, Nicolas Joly. Monsieur Joly is a proponent of biodynamic viticulture, although his wines have frequently been criticized for not being exceptional, despite their lofty price tags. 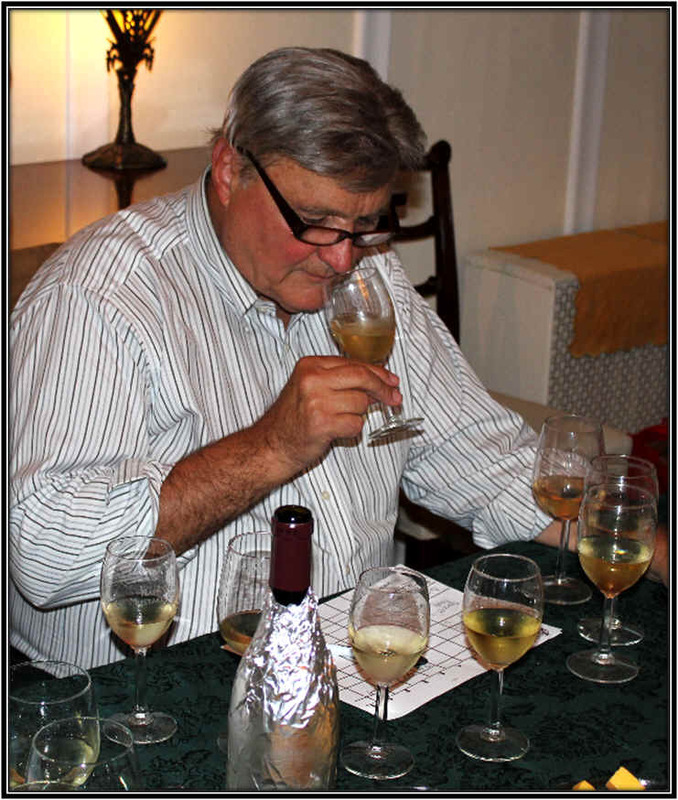 And the "mystery" wine of the tasting was a South African Chenin Blanc from the Raats family, a domaine regarded by many as a reference point. One wine finished well ahead of the group and one wine was well behind the pack. 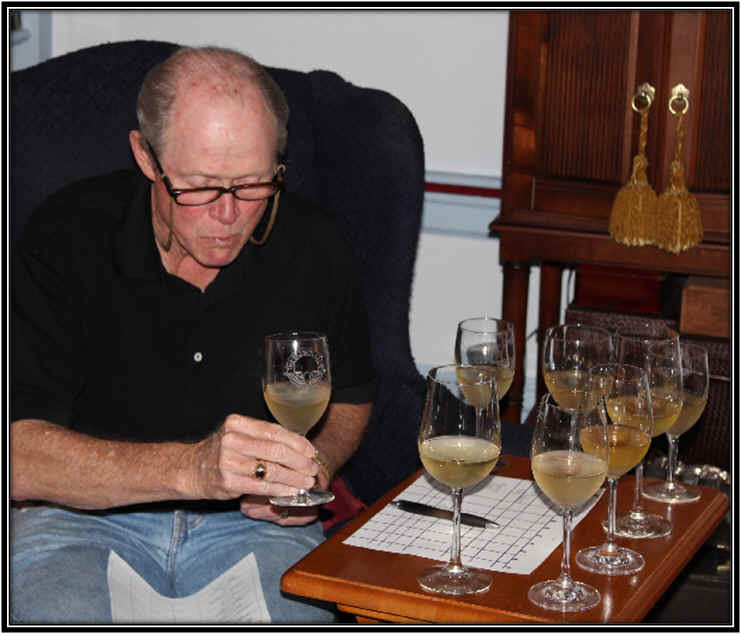 The second place wine through seventh place finisher were separated by a mere 11 points, illustrating how close in quality the wines are. Clear in appearance and medium+ straw in color, this wine started out with a faintly smoky, lightly vegetal character. There was a candied aspect to the nose, as well. It's dry and mildly acidic. As the wine warmed up and aired, it became quite strange and took on a character best described as "swampy." Since tasting this and posting these notes, I'd read about a curious wine flaw of some form of mercaptan...and the textbook even noted this can become more intense in wines with a screwcap closure (go figure!). Well, this bottle is stoppered with a screwcap! It's entirely possible the wine went into the bottle in a fairly healthy state, but with 3+ years of bottle aging, it's veered well off course and was a nearly universally-disliked wine. No stars on my three star scale...and it would have a "minus" score if possible. 7th Place: FRANCOIS CHIDAINE 2009 VOUVRAY "Les Argiles"
Clear in appearance and with a straw color, this wine displayed a lovely ripe fruit character, hinting at pear and something tropical, perhaps, say, mango. It was just 'off'-dry on the palate and medium-bodied. Nice fruit flavors with a hint of pear on the palate, too. I gave it a one star rating on my three star scale, no stars being a standard quality wine at best. While this was clear in appearance, some tasters noted it had a slight bit of carbon dioxide. The aromas were fruity and floral with an exotic quality on the nose leaning in the direction of Malvasia or Torrontes. 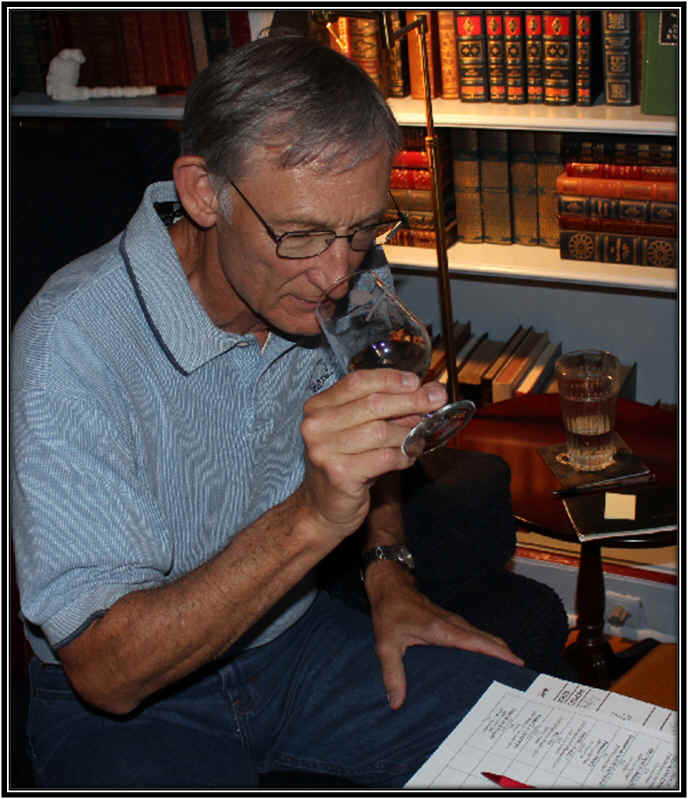 The wine tastes dry and is crisp on the palate. It's light, lean and a bit wiry, tangy and crisp thanks to its textbook level of Loire Valley Chenin acidity. I pegged this as a one star wine. 5th Place: TAILLE AUX LOUPS 2009 MONTLOUIS Sec "Remus"
Light straw in color and brilliantly clear, this wine shows an aroma of a basket full of ripe pears with a faintly stony note underneath. As it warmed, a touch of oak became more noticeable. It's dry and tart on the palate, being a medium-bodied wine. The flavors show both the pear-like fruit and some woody tones with a zesty fresh character. Two stars in my book, maybe more...I found it to be quite similar to its cousin from Vouvray, ye only half the tasters had the two wines ranked in close proximity or back-to-back. Clear appearance and light straw in color, the Huet domaine produces some highly-regarded Vouvray wines. This dry cuvee had lightly appley notes with a fresh, youthful quality on the nose. There's a mildly stony, minerally aspect to the fragrance, as well. It seemed not quite bone dry, but it's bracingly tart and crisp. The flavors offer Granny Smith apple notes...really classy and classic. 3rd Place: FRANCOIS CHIDAINE 2009 MONTLOUIS "Clos de Breuil"
Light straw in color and crystal clear in appearance, Chidaine's Montlouis offers nicely appley fruit notes with a stony, chalky character on the nose. It's dry and nicely acidic on the palate, with ripe pear or baked apple fruit on the palate. It's not as austere on the finish as some of the wines. I gave it a one-and-a-half star rating. 2nd Place: NICOLAS JOLY 2008 SAVENNI�RES "Clos de la Bergerie"
1st Place: TAILLE AUX LOUPS 2009 VOUVRAY "Clos de la Brettoniere"
Light straw in color and clear in appearance, this wine was very similar to the same producer's Montlouis. I liked both, but found the Montlouis a shade more intense. Lots of appley notes to start, with hints of pear and then some oak in the background. It's dry, beautifully balanced and medium-full on the palate. Tangy and bright...delightful. Two stars.